Reboot and Press the F2 and F4 keys to enter the System Menu upon when you see the following screen. Enter the password Z66831 by pressing 1 alpha-alpha and 66831, and then press the green Enter key. The VERIX TERMINAL MGR screen will appear with 6 options. When GID 1 is prompted, press the green Enter key. Enter the password Z66831 again and press the green Enter key. When the File Config Sys screen appears, press the green Enter key. Enter COMMPORT in the parameter field and press the green Enter key. Enter a value of U (1 is for Serial) and press the green Enter key. Enter #CZE in the parameter field and press the green Enter key. Enter a value of 1 and press the green Enter key. Press the red Cancel key to exit to the VERIX TERMINAL MGR screen. Press 1 to restart the device. 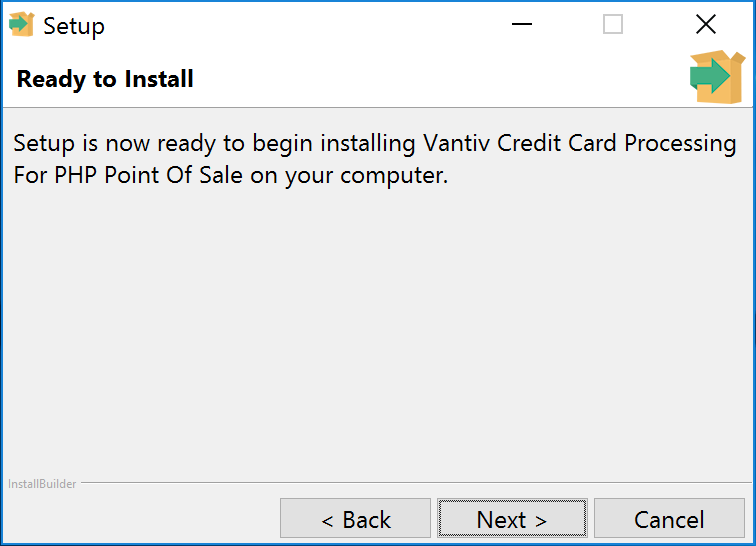 The VeriFone VX 805 installation requires a Microsoft Windows environment. Download the installer from our website. Double Click on and run the installer and Click "Yes"
Leave the Default Installation Directory and Click "Next"
Leave the default Port number for listener and click "Next"
Accept the agreement and click "Next"
Click yes or no. It doesn't matter. Open locations module and edit the location for which you want to install credit card processing. Scroll down to "Enable Credit Card Processing" and check the box. Enter EMC Merchant ID, COM Port, and Listener Port. These ports should be the defaults.